and from the words of my distress?” (Psalm 22:1. The Book of Common Prayer, p.610). The mystery of the Crucifixion of Jesus Christ meets every form of human suffering and confronts them all with God identifying with them and defeating them with only love as the chosen weapon. The betrayal. The abandonment. The scourging and spitting. The crown of thorns. The insults. The nails. The seven last words. The letting go of everything. The humility. The compassion and love that have no bounds or explanation. Today the arms of God are forever outstretched to embrace every person. All labels and worldly limitations are nothing in comparison to the love of God that is open to receive us without distinction. Our contemplation on this Good Friday can take many directions. Each person will come away from today with a reflection of God that is unique. Yet, their experience is no more or less real than any others. Today, all scapegoating, all forms of division are rendered powerless for those who seek God’s help to overcome them. Jesus shows us how to live and die with only faith in God as our only guide to what is God’s will and way of salvation for each of us. What does the Holy Spirit through the passion, Crucifixion and death of Jesus on this Good Friday say to your heart? Whatever it may be, “Incline the ears of your heart” (The Rule of Saint Benedict, Prologue). This Christ is a man who himself lived with tension and contradiction and inner conflict. He is a man surrounded by friends who yet withdraws to be apart in the desert. He stays alone with himself through long nights of prayer but still journeys on on a road that he knows will bring him to suffering and to death. He is the redeemer who on the Cross holds together the vertical, pointing towards God, and the horizontal, arms outstretched to the world. In Christ all things will be brought together. In Christ all things will be well. (Living with Contradiction: An Introduction to Benedictine Spirituality, Esther de Waal p.39,40). Finding something to use for a meditation on Good Friday is like looking for a needle in a hay stack. One can use any Scripture reference or of the thousands of references to the Cross in hymnals, Office books, books, etc. On this Good Friday, I chose this quotation from Esther de Waal’s book because there is no paradox or contradiction quite like the Cross. The Cross is about torture, violence, death, shame and all the ugly words that can describe it. 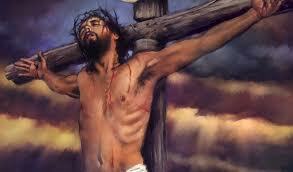 Yet, because of the death of Christ upon it, it is the greatest symbol of God’s unconditional love. All of humanity’s cruelty and malice meets its match in the self-sacrificing love of Christ who is God’s perfect revelation. It cannot be fully grasped or understood. Yet, it is as clear as looking through a plate glass window to what is on the other side. To contemplate the Cross, is to sit in the presence of God who sees all of us as forgiven and redeemed. The contradiction to that, there is nothing in all of humankind that God cannot see, understand and use to change us and the world around us. In the naked, broken and bleeding body of Christ on the Cross, all of humanities’ ways, sins, foolishness, pride and stupidity is made visible. On the other hand, none of that means that God loves any one of us any more or less. If there is one thing that we can contemplate about the Cross today, what will that look like? On the last day of the festival, the great day, while Jesus was standing there, he cried out, ‘Let anyone who is thirsty come to me, and let the one who believes in me drink. As the scripture has said, “Out of the believer’s heart shall flow rivers of living water.” ’ Now he said this about the Spirit, which believers in him were to receive; for as yet there was no Spirit, because Jesus was not yet glorified. (John 7:37-39, NRSV). It is quite ironic that we have so many scriptural images of water during Lent. Lent is the season during which we journey into the desert with Jesus. It was in the desert that Jesus was both hungry and thirsty. At this stage of the journey of Lent, I think all of us are really thirsting for Easter Day. Such is actually the point of celebrating Lent. 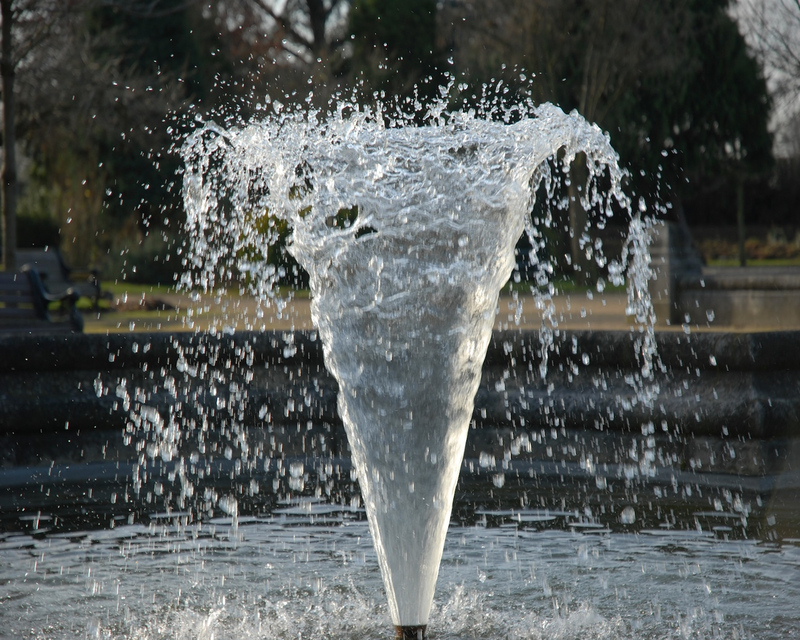 The great blessing of Contemplative and/or Centering Prayer is that we are given the chance to come to Jesus and drink from His life-giving water. The only danger that can happen as a result of the wonderful experiences through Contemplative and/or Centering Prayer, is that if the “river” stops there, then it was nothing more than an emotional spiritual roller coaster ride that ended when the ride stopped. Even if the experience leaves our head spinning and our bodies out of focus. The drink we receive from Jesus in the desert becomes nothing more than a stagnant pool, unless that water flows out of our hearts in to the market place of our communities. This includes our families, work places, relationships and activities. May we in our Lenten experience drink from Jesus who is the well of life, and with the help of God’s grace let that well flow from our hearts into a world that is much too thirsty for its own good. “How does one seek union with God”? “So what does one do about the distance?” the seekers asked. “Does that mean that God and I are one?” the disciples said. “But how is that possible?” the seekers insisted. 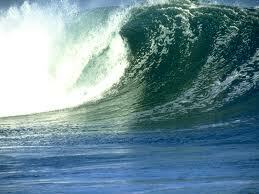 And the monastic answered, “Just like the sun and its light, the ocean and the wave, the singer and the song. Not one. But not two.” (Taken from Wisdom Distilled From the Daily, p. 195. Written by Sr. Joan Chittister, OSB). The wonderful story told to us by Sr. Joan reinforces an inescapable truth about prayer. Prayer deepens our relationship with God and one another. I would tend to take what she wrote a step further by writing that not only are we not one, and not two with God; we are also not one, nor two with one another. Genesis 1:26 confirms that we are created in the image of the Holy Trinity; a Community of relationship through the love of God who is in Community with God’s Self in each of the Three Persons. In the death and resurrection of Christ, we are redeemed and set free to live into that relationship through our common Baptism. As prayer is a means for taking such a relationship with God to a deeper level; prayer also deepens our relationships with one another. Thomas Keating in his book One Mind, One Heart wrote about how through all of the things we attach ourselves to, we move further away from God who is at the center of our being. Centering prayer is a fantastic means of taking us back to the presence of God who is there waiting for us to spend time with God. In centering prayer, we are not looking for anything magical or a feeling that will psychologically satisfy us. Keating recommends that if we experience something that we feel or satisfies our psychological impulses during centering prayer, that we detach our thoughts even from those. Feelings or emotions (whatever word you want to use) are good in and of themselves, until we begin to identify ourselves on the basis of them. “I am a happy person.” “I am a charismatic person, because I feel the Spirit within me.” What Sr. Joan and Thomas Keating are telling us is that we are not one, not two with God and one another except by the walls we put up to create a distance that God has already removed. Jesus calls you and I today to live into a relationship with God through that purity of heart that searches for God for God’s sake alone. Jesus invites us into a deeper contemplation of His presence so with all the obstacles out of the way; including all those labels so that only the love of God and one another radiates from the relationship of community we share together. What could be more awesome than that? “Assuredly, the celebration of Lauds and Vespers must never pass by without the superior’s reciting the Lord’s Prayer at the end for all to hear, because thorns of contention are likely to spring up. 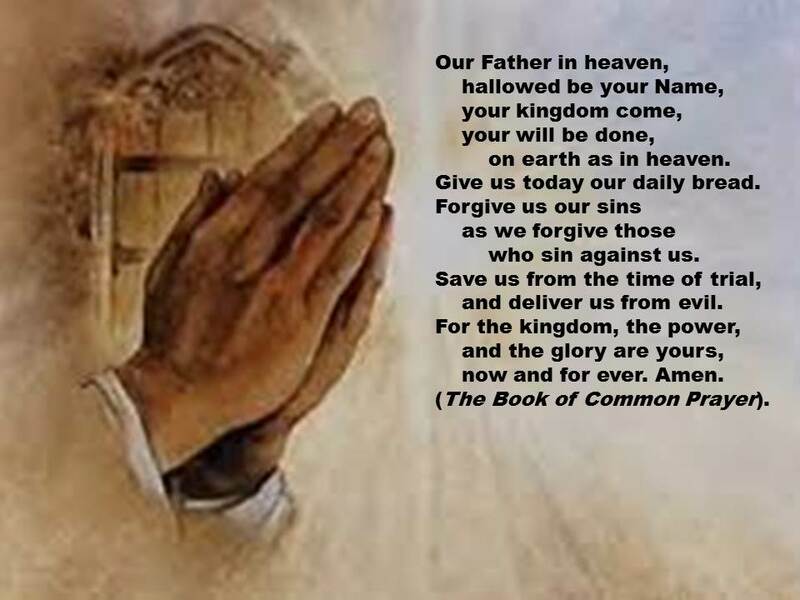 Thus warned by the pledge they make to one another in the very words of this prayer: Forgive as we forgive (Matt 6:12), they may cleanse themselves of this kind of vice” (RB 1980: The Rule of St. Benedict in English, pages 42-43). St. Benedict was a very wise and practical man. He knew that there would need to be some strictness in establishing the monastery as the “school for the Lord’s service” (RB 1980, Prologue vs.48). At the same time, Benedict made provisions for human weakness to avoid the occasion of murmuring as much as possible. However much he wanted to avoid it, he also knew that a monastery with more than two Monks in it, would most likely have some kind of contention going on. It usually takes two (or more) to tango. To be sure that the members of the community kept in mind who it was that they were there to serve, he asked that the Lord’s Prayer be said during at least two of the Offices. As Episcopalians and/or Anglicans, we recite it at all four of our Offices. I think I can speak for most people when I write that all of us know how to assert ourselves to get what we want. If you are like me, you know when to assert yourself, you just are not always good at backing off when enough is enough. It is easy to pray the Lord’s Prayer at an Office or Mass and feel like we have done our duty. If doing our duty stops at saying the prayer itself, then, we miss the point of saying it at all. We pray the words: “Forgive as we forgive” to invoke God’s help with both in equal measure. We acknowledge our poverty of spirit in that we need the mercy of God for ourselves. Having said that, we also need to admit our poverty in spirit by asking God’s help to forgive those who hurt us. The words from The Lord’s Prayer afford us the opportunity to pray for our own healing and for the healing of others. As Advent is drawing to its close in only five days, it is a good time to spend some time in silent prayer going through our memories of those we have injured, and asking God for the strength to forgive those who have hurt us. Do not be surprised if the “other” you need to forgive is most often, yourself. God is more than able to help you do that. Give thanks to the LORD because he is good, because his faithful love endures forever. (Psalm 118:1. The Common English Bible). Most of the time we are so focused on ourselves and all the nonsense in the world, that we don’t think enough about who God is or what God does. Perhaps we are of an age where we do not think of ourselves as the center of the universe as much as we used to. But, we are way too focused on ourselves. Our self centered egos bring us to a spiritual slumber that makes us sleep well past the alarm clock ring of God’s call upon our lives. Let us get up then, at long last, for the Scriptures rouse us when they say: It is high time for us to arise from sleep (Rom 13:11). Let us open our eyes to the light that comes form God, and our ears to the voice from heaven that every day calls out this charge: If you hear his voice today, do not harden your hearts (Psalm 94 : 8). (RB 1980: The Rule of St. Benedict in English, p.15-16). We rise every morning to offer our prayers of thanksgiving and praise in the Daily Office, because God’s faithful love endures forever. Though there are many things that maybe going on in our lives that seem full of darkness, doubt and despair; God’s love for and belief in us never dies out. God has more faith in us than we have in ourselves. God’s faithful love is always reaching out for us and giving a new light to our lives and bringing out into the open all that is hidden. This is why we should always give thanks to the LORD, even in moments of sorrow. God’s faithful love endures forever. May we never forget it.